Rave The Guardian The book contains exhortations and transcribed question-and-answer sessions, reflections and analyses, exegeses and commencement talks. In other words, it’s a large, rich, heterogeneous book, and hallelujah ... With this book, one is tempted to quote at length from her words: her acuity and moral clarity are dazzling, but so is her vision for how we might find our way towards a less unjust, less hateful future ... one of the keenest pleasures of this book, especially for the many admirers of her fiction, will be the detailed explications of her own writing ... Morrison passes along...courage, in this book as in all her books ... [The Source of Self-Regard] is a bracing reminder of what words do, how carefully they should and can be used. Rave The Guardian …a variegated collection of gradually self-revealing entries … Where the Past Begins is subtitled ‘a writer’s memoir,’ and it’s worth mentioning what Tan doesn’t include. 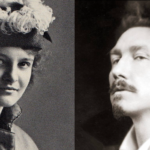 There is very little mention of published books; instead, she elaborates on the act of writing, the mechanics and results of her own imagination. She explains the central importance of metaphors, the stories her mind spins while she listens to music. Rave The Guardian I was initially drawn to Blind Spot less for its 150-plus photos from dozens of countries than for its text, the short paragraph or two – at times, just a couple of sentences – accompanying each image … The words, though, aren’t quite descriptions of the pictures; they’re not straightforward commentaries. Instead, Cole’s squib-sized texts are more like meditations, often lacking a direct relation to the photos. 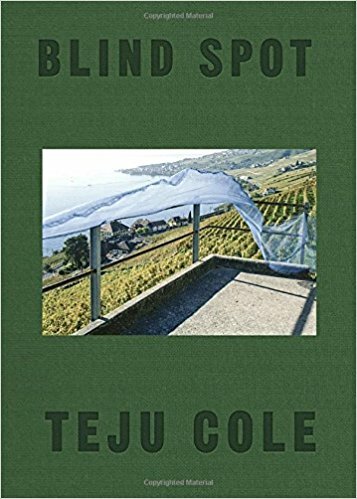 In the space between each image and its paired text, much is implied ...Early in Blind Spot, Cole positions a photo of hotel curtains next to a moving consideration of Albrecht Dürer’s drapery studies...So prompted, the reader of Blind Spot becomes more alert to drapery in subsequent shots. The tarps, cloths and sheets shine with analogical possibilities. As in a novel, Cole’s images gradually form patterns, leitmotifs. 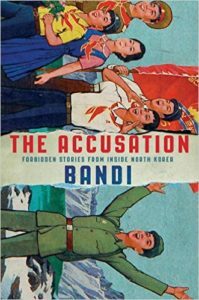 Positive The Guardian ...all the characters in The Accusation inhabit North Korea, and in these stories, as in life, no citizen is safe from the threat of political ruin ... In story after story, industrious North Koreans, 'innocent people whose lives consisted of doing as they were told,' accidentally run afoul of the state and lose their last political illusions. They then get jailed, escape, die, or go mad, but the real culmination of each story occurs in that instant of revelation, when they realise that, despite everything they have always been told, the state is malign ... Bandi’s prose style is rough, jagged with exclamation marks and anguished rhetorical questions: this, too, could be said to fit the exigencies of his book. If poetry, as Wordsworth said, can be glossed as powerful emotion recollected in tranquillity, The Accusation reads like powerful emotion felt right now, in a condition of ongoing crisis ... In its scope and courage, The Accusation is an act of great love. Positive The Guardian ...one of this book’s central pleasures is that of watching a kind of translation at work. With an enthusiast’s brio, Murakami sallies forth with his idiosyncratic, often fanciful ideas about Ozawa’s music ... Though [certain] expositions might not always, on the page, be entirely intelligible, they’re also some of the most beguiling, straining as they do against the limits of what can be expressed in words ... for those who aren’t already devoted to classical music, the book may be of limited appeal ... 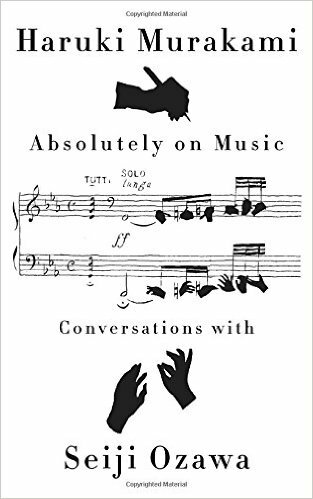 Still, Absolutely on Music is an unprecedented treasure, valuable if for no other reason than that these conversations mark the first time that Ozawa has reflected at length on his 50-plus years of conducting.